It hasn't been that long since we have had the advantage of using a security camera online. Before the proliferation of the Internet, security cameras at best, sent their images wirelessly using a radio frequency transmitter to repeaters (receiver/transmitters that would keep the signal viable and pass it along to its destination) or directly to a nearby monitoring company. It hasn’t been that long since we have had the advantage of using a security camera online. Before the proliferation of the Internet, security cameras at best, sent their images wirelessly using a radio frequency transmitter to repeaters (receiver/transmitters that would keep the signal viable and pass it along to its destination) or directly to a nearby monitoring company. The inability to use a security camera online made monitoring somewhat tedious. Monitoring company locations were restricted as to their location in order that they remain close to the general area of their clients. Today, using a security camera online, the client’s camera system could be located in the state of Washington and the monitoring could be conducted in Florida. 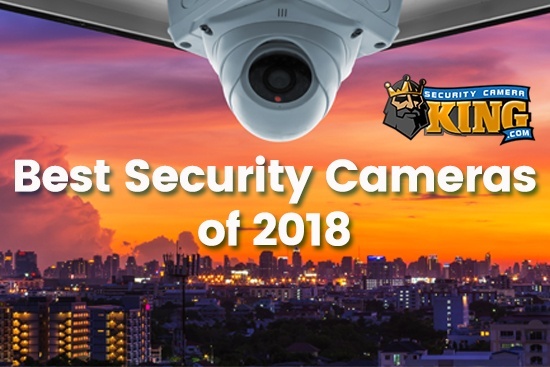 In fact Security Camera King’s sister service, Digital Security Guard does just that. This professional monitoring service can be provided for just about any online system in the world. As for Digital Security Guard, their service is available 24 hours a day, 7 days a week, and 365 days a year. Their nationally licensed trained guards follow your instructions exactly should a security breach occur. If using a professional monitoring company doesn’t work for you, then perhaps you would like to monitor your system yourself or have an employee perform the job. This is all possible thanks to the technology advancement of having a security camera online. But just exactly how do you get a security camera online? There are two basic methods that can be used to get a security camera online. 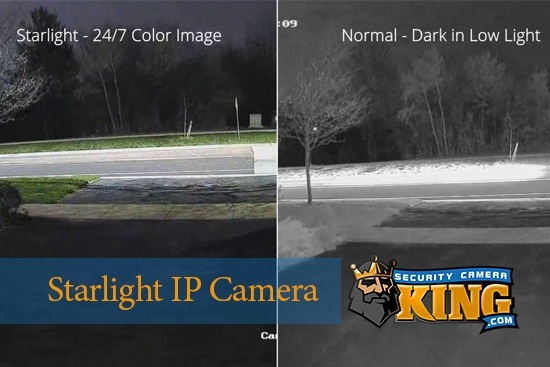 One way is to use IP ready cameras. IP is the acronym, Internet Protocol, and these cameras have their own web server technology so they can be connected directly to the Internet. Once connected, their video “transmission” is via the Internet and they can be accessed using any normal Web browser and a personal computer or Smartphone. These cameras can also connect to a Network Video Recorder or NVR for recording the video images. This means that in many cases, a store owner for example, may own two different convenient stores within a city that are several miles apart. Using IP ready cameras he can view both of them at the same time and record them to the NVR if desired as well. This is made possible by programming utilities called CODECs, short for COmpression/DECompression utility. The object of a CODEC is to reduce the size of the file while maintaining a high quality video image. But, they can also be used for purposes such as preparing a streaming file that can be sent over the Internet for real-time (live) monitoring. Many IP ready cameras use two CODECs. For example one CODEC MJPEG will be used to compress the file for saving on the NVR’s hard disk drive and the other CODEC H.264 (the latest, most efficient CODEC) for streaming throughout the Internet for real time viewing using an Internet browser and personal computer. The other method for getting a security camera online is by using a Digital Video Recorder or DVR that has its own Web server technology and is IP ready. The DVR is connected to a broad band Internet connection while the cameras are connected to the DVR in the conventional method, such as using RG59 coaxial cable. The key here is that the camera does not directly connect to the Internet. Instead the DVR remains the communication center for the entire system and it’s the DVR that makes the cameras visible via the Internet. As a matter of fact, even Pan-Tilt-Zoom (PTZ) cameras can be controlled this way and not only by personal computer but also by Smartphone. 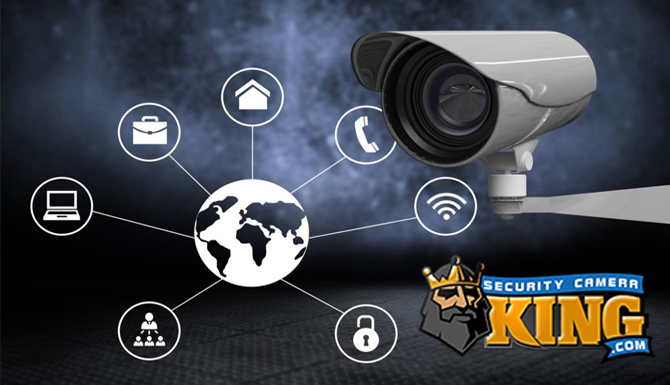 So if you are considering the purchase of a security camera online system and are uncertain as to what method to use, contact one of our security experts today and they will be glad to help you decide which type is best for your situation. Our security experts can be reached via on-line “Live Chat” or by telephone at 866-573-8878 Monday thru Friday from 9AM to 6PM EST. Be ready to tell them why you want a security camera online, what kind of physical layout you would like to cover, if you want to record the video image and/or do you want a professional monitoring company to do that for you. Also tell them how you will access the system (directly, personal computer, or smartphone) and wheat your budget is for your system. They will find a security camera online system that will be tailor made for you!